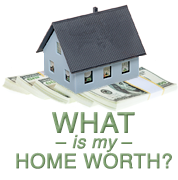 "Claudia was extremely knowledgeable about a vast range of properties in the Virginia area. She works hard with you to find a place you can truly call home. As a prospective first time homeowner, I found Claudia's guidance on the financial aspects of home-buying truly invaluable. Thank you Claudia!!!" "Claudia worked diligently to get our home sold. She had an Open House every weekend until we got a ratified contract. When possible buyers had questions about the property, she researched or asked us as the homeowners to get them the correct answers. We sold our home quickly and didn't have to go lower than our bottom line. Thanks Claudia for a job well done." "Claudia is a very motivated and very hard working person, by calling and make appointments between the seller and buyer, once she gets the confirmation from both sides she drive to pick up the person who is going to buy the property to show the property and so on... wish all the best of luck to her for her success." "Claudia is the best real estate agent that I have had the pleasure to deal with. What makes her special is her knowledge of the Northern Virginia housing and investment options and her willingness to go 110% for her clients. After dealing with her, it would be hard for me to ever go with anyone else for real estate advice and leads." "She is a great REALTOR. She helps me tirelessly to purchase a home. She is astute about the market, very professional and punctual to her appointments, great personality to interact with, makes the home buying process extremely easier. I appreciate her services which is second to none. I will recommend her anytime to my friends and family considering buying a home." "Claudia was an enthusiastic go getter and helped us find our dream home. She really listened to our needs and we couldn’t have been happier! She also sold our house before it even hit the market." "Very professional-Claudia Wray makes a good realtor because she is spirited, sociable, opened, frank, patient, far-sighted. It is rare in this day to find a person like Claudia who shows honesty, explaining differences in choices for homes in different locations. Claudia is very patient in helping in the search, no matter conditions I provided and changes on the conditions. I will definitely keep her for ever for future searches and will always recommend friends to Claudia Wray. You're the best, Claudia!" "Claudia was a great asset to have while working in trying to find a home. She was always available at short notice and knows the ins and outs of Northern Virginia Real Estate." "Claudia was my agent when I was trying to find a home to rent and it was a stress free experience. Claudia is very knowledgeable when offering services. She is familiar with the area and offers insight to locations you pick as a client. She pays attention to the clients needs which is very important and uses her expertise to match them perfectly. Claudia ensures her clients get what they ask for and more. She is prompt in responding when communicating at all times whether by email or phone. I look forward to working with her in the nearby future when I'm ready to purchase my home." "I have had the pleasure of Claudia's consulting on all my real estate market considerations. She has been a very caring and knowledgeable professional that I can count on to steer me in the right direction. She's handled matters for me in a very reliable and successful manner, I know I count go wrong with her and look forward to her continuing advice and guidance." "Claudia is very profession and she portray so much patience and kindness when helping us to find the right property for us to call home as we don t have any experience being a first time home buyer, she is very knowledgeable I must say and I admired her honesty when we are in doubt. I would recommend her to all my family and friends. She is the best real estate agent any one could ask for." "Knowledgeable of location and home condition fun to work with searching for homes online or out on schedule appointments just a great realtor if anything needs to get done she is very helpful with providing info and follow ups on condition." "Claudia Wray was a mind reader, in the sense that, she knew exactly what my wife and I were thinking. Often times it is difficult to combine two separate visions of either husband or wife but after only a short time with us both, Claudia seemingly had the foreknowledge and whereabouts to tend to our needs as a couple and satisfy us both as a unified entity. Claudia is very knowledgeable in her field of work. She was able to lucidly answer any questions my wife and I while simultaneously adding information we may have failed to think of prior. Not everyone is as keen as Claudia Wray, nor as vibrant. You want smooth transition and someone who shares your vision; it's Claudia Wray!" "Claudia is very knowledge when it comes to the information she relays about the market and property. During a search we gave her the details surround what we were looking for in a property and she not only meet our requirements she exceeded. She went out of the box to make recommendations to us concerning the surrounding schools, churches and entertainment. I would highly refer Claudia as a REALTOR, she analysis what you say and then delivers!" "I have had such a positive experience working with Claudia. From start to finish, Claudia has been the consummate professional, leaving no stone unturned. Claudia has a customer intimacy that is so keen and spot-on. She has the innate ability to tap into her customer's tastes and style. Claudia has a vast knowledge of the Northern Virginia area and has a ton of resources for prospective home buyers. I highly recommend working with Claudia if you are in the market for residential or commercial real estate. Claudia sets goals and delivers results! Thank you Claudia for providing such exceptional customer service and satisfaction." "Claudia is a very savvy real estate agent. She is knowledgeable and often made keen recommendation. She is familiar with the metropolitan DC/VA. I totally recommend her as your must have real Estate agent." "I am so grateful to have met Claudia Wray in 2014 when I was totally exhausted looking for a commercial leasing property to open up my hair dressing salon. She was always ready to answer my calls, text messages, and follow ups anytime of the day. She's a very knowledgeable, honest, and patient person. I am very proud to call her my REALTOR and I would recommend her to all my family, friends, neighbors, and acquaintances because she's the go to real estate professional in my opinion." "Ms. Wray is very professional, knowledgeable and best of all very patient and willing to answer any questions, no matter what time or day. She was able to help my brother decide on the perfect home after months of going around looking before meeting Ms. Wray. With her expertise, she was able to help negotiate and make him very comfortable and know he has made the right choice. I will recommend her to everyone I come across that is looking to be a home owner. Thanks Ms. Wray." "...Your coordination and scheduling of multiple home tours, perseverance during extremely hot weather conditions, and negotiating on our behalf with sellers, through listing agents were so helpful, making our search even more easier. ...We thank you so much for your professional assistance and advice." "Claudia helped us with our home purchase every step of the way. As first time home buyers, we were initially overwhelmed, but Claudia helped us to navigate the process and alleviated much of our stress. She spent numerous hours researching and showing properties to us, and ultimately matched us up with exactly what we were looking for. Claudia has extensive knowledge within her field and provided honest, straightforward guidance throughout the process. As we approach closing, Claudia continued to advise us on procedures and paperwork. She is a reliable and dedicated professional, and her genuine affability made the entire process very enjoyable. We would highly recommend working with Claudia to prospective home buyers." "I would definitely recommend Claudia Wray for one's real estate needs. She take's a client's requests very seriously and presents the information in a timely and precise manner. I met Claudia in the spring of this year. She knew I was starting to look for properties casually, so she gave me her business card and invited me to come to an open house she was hosting in Alexandria (Mount Vernon area) on a Sunday afternoon. It was one of the best open houses I have been to, as she was very attentive to me and to other prospective buyers. I enjoyed her services and will retain her for my future searches." "My acquaintance with Claudia was when I was looking to purchase a home in prince William County Virginia. Claudia was very helpful, resourceful and always available no matter what time she was called to answer my questions and concerns. She is very knowledgeable and patient and goes the extra mile to accommodate my impatience. We viewed several properties that day and she was very helpful. I would greatly recommend her services." "She tries to be helpful in dealing with customers. She will take her time to show people houses and provide information in terms of finances. I have seen her in her dealings with prospective homeowners and she goes over with them the property in detail, such as the history of the unit and the surrounding area. 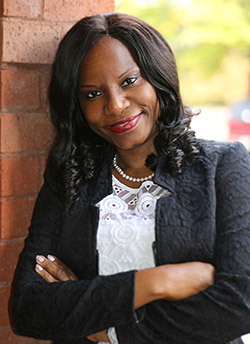 She keeps constant contact with all her customers and return inquiries in a timely matter." "My husband and I would like to express our appreciation for the time & care Claudia Wray spent with us on our search for a rental home. We would highly recommend her to anyone looking for a home! We just wanted to provide you with positive feedback on our experience with Claudia!" "Claudia is very professional and friendly. She is very knowledgeable in what she does and provides you with all the information you need to know before you make a decision to proceed with purchasing or renting a home. My experience with Claudia, I would say was excellent. I was so overwhelmed trying to find a place to move in to. The web is consumed with options. It's difficult to know where to begin. Ms. Wray listened carefully and helped me narrow down my options. She successfully introduced me to the perfect home the home that best suits me." 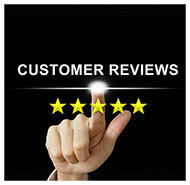 "I was very happy with the services Claudia provided for my family and I. What I liked about Claudia was her determination to find my family a home to rent. She always stayed in communication and was always ready to view homes on our schedule. She was always courteous, punctual and thorough. I would highly recommend Claudia as your REALTOR because I know she will really dedicate herself to you and won’t stop until she has found that special house." "I was so overwhelmed trying to find a place to move in to. The web is consumed with options. It's difficult to know where to begin. Ms Wray listened carefully and helped me narrow down my options. She successfully introduced me to the perfect home the home that best suits me." "I just wanted to commend your staff, especially Claudia Wray, on a fantastic job in helping finding me my new home. Claudia took extra special care in finding the prefect place and making sure I was completely happy at the final signing. She also was especially helpful in mitigating between the mortgage company, myself and my Dad, making sure that we understood the particular laws and necessary documents needed for the application. She treated me as family, and I couldn't have hoped for a better REALTOR! Thank you for making this a smooth process and being part of this exciting milestone." "Claudia has high moral standards and will not use short cuts. She cares about her dealings with prospective clients. She listens and will use her best judgment to find the ideal home." "Claudia Wray was very helpful and extremely knowledgeable of the local market. She was very responsive and listened well to what we were looking for in. Simply, she is one of the best!" "Claudia is very professional and knowledgeable in her work. It has been pleasure doing business with her. Thanks!" "Very energetic about her work and won't stop until she finds the perfect place, she's a dream to work with!" "Claudia was very knowledgeable about the area and neighborhoods we were interested in. Great to do business with." "Claudia is very professional and truly cares about her clients and loves what she does!" "Hard working, knowledgeable and sincere." "Claudia has worked with us on and off for the better part of two years. With her help, we recently closed on our house in Kingstowne. Claudia was patient with us as we navigated the limited market. Throughout this whole process, she was very attentive to our needs and we couldn’t be more grateful. Claudia went above and beyond to ensure we got our house, including picking up the slack of the lackadaisical seller’s agent. In addition, Claudia was also able to negotiate some concessions. Her quick thinking and sound judgment helped us meet an earlier settlement date than we had anticipated. This was incredibly helpful to us as we are in a time crunch to move out of our current home. She is a consummate professional. We were fortunate to have her as our REALTOR, and you are fortunate to have her as part of your team – she'll represent you well every time!" "Claudia helped us find and buy a single-family home. She was extremely professional, helpful and attentive. She would promptly address any request we had and worked extremely hard to accomplish our goals. I highly recommend Claudia and would not hesitate to have her help us again."